Following two periods of shattering inflation in the 1960s and 1970s, it became of paramount importance around the world to secure the independence of central banks, in order to ensure that these institutions could work effectively and efficiently to counter economic instability. [i] The idea was that if central banks were granted autonomy, they would be better able to implement policies that would allow them to fulfill their mandate of maintaining general price stability. More importantly, independent central bankers would not be subject to any sort of political pressure from the government. Although there is currently a high degree of central bank independence in Latin America, new developing theories suggest that there is a flaw in how the idea of independence was formulated originally and how it is exercised in the real world when accounting for other economic variables. Therefore, central bank independence and its most basic functions need to be, at the very least, reassessed and revamped. Economic policy can be broken down into two critical components: monetary and fiscal policy. In general terms, monetary policy refers to actions taken by a regulatory body (in most cases a central bank) regarding how an economy’s money supply is used to influence interest rates, which in turn have an impact on economic activities. For example, in the case of an economic recession, the regulatory body would engage in what is known as expansionary monetary policy, increasing the money supply by engaging in open market operations (i.e. buying (or selling) government bonds to increase (or decrease) the money supply) to bring down interest rates in an effort to jump-start the economy. Why do interest rates have a direct impact on the economy? Because they are the rates at which private banks and other financial institutions borrow more money. More money lending means more money circulating in the economy, which can help lower unemployment, incentivize consumer spending, and ultimately stimulate economic growth. Central bank independence become especially crucial in cases of high government expenditure and fiscal debt. For example, a government could be running a persistent fiscal deficit because of a lack of tax revenue, increased spending, and an inability to secure funding from creditors due to their damaged perception. If there is a lack of central bank independence, the government could turn to the central bank in order to secure additional financing in what is known as an act of “fiscal dominance”. The treasury would then sell bonds to the central bank, enabling them to print money to fund the government deficit. A clear example of this was the Peruvian Crisis of 1986, under president Alan Garcia, who failed to control his country’s fiscal deficit, eventually sending the country’s inflation skyrocketing. [iii] A clearly independent central bank system would keep the government in check by refusing to print money to finance uncontrollable deficit spending, and so the government would act with greater caution when making any fiscal decisions. 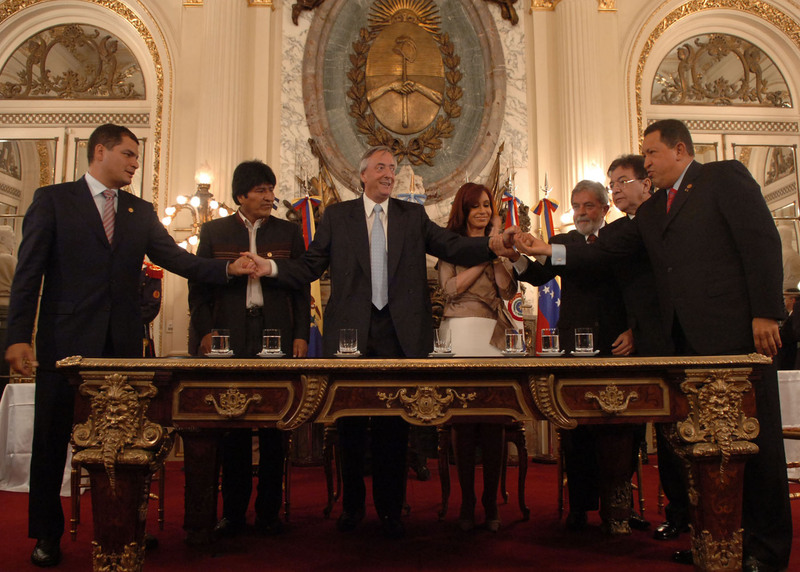 Cases like the Peruvian Crisis motivated many Latin American countries to undergo a series of reforms following the decade of the 1980s. Reforms established a clear mandate for central banks regarding price stability and also instituted policies that increased central bank independence. [iv] Most countries have targeted price stability because they had just undergone a decade of high inflation. By controlling inflation, central banks hoped they would be “indirectly fostering economic growth and thus improving social welfare.” [v] However, independence does not imply a lack of accountability. In many cases, central bankers are required to appear before the legislative branch of government or other regulatory bodies to explain and prove the rationale behind their decisions and to assure them that it will help them achieve price stability. At the moment, conventional monetary and fiscal policy revolves around the idea that the central bank determines the price level and then the government adjusts its expenditures accordingly in order to balance its budget. There is not a great amount of coordination, but rather is a system in which “the Treasury passively adjusts lump-sum taxes to pay off changes in the real value of government debt.” [vi] That means that the government becomes a reactionary agent, basing its actions on those taken by the central bank, whose actions affect the real value of government debt. However, a new way of looking at coordination between monetary and fiscal policy has emerged with the development of the Fiscal Theory of Price Levels (FTPL). The above theory describes “fiscal and monetary policy rules such that the price level is determined by government debt and fiscal policy alone, with monetary policy at best playing an indirect role. This theory clashes with the monetarist view, which states that money supply is the primary determinant of the price level and inflation.” [vii] If one is to accept these proposals, then the conventional roles regarding who sets the price level of the economy are reversed and the central bank becomes the reactive economic agent. The reason that government debt affects price level has to due with expectations. For example, say a government has developed a public debt level that is unsustainable. People believe that in the future the government might not be able to meet its obligations, so they will try to sell the debt they possess (it may be bonds, securities, etc.) and increase their consumption of goods and services today. By doing so they push up the price level until people are willing to hold debt again. [viii] This will effectively be a way of inflating away the debt the country holds. Accepting the notion that the debt is the independent variable affecting price levels means that “the government agency (i.e. the central bank) nominally in charge of the price level is legally enjoined from the most important levers of price level determination.” [ix] Assuming that fiscal action is what determines the price level, the central bank would subsequently be rendered unable to fulfill its mandate of price stability because it could not engage in fiscal action (i.e. acquiring or selling different kinds of debt). A central bank will have some degree of influence on price levels if “it can issue a signal of future fiscal policy” and that requires high levels of coordination between the central bank (monetary policy) and the government (fiscal policy). Yet, even if there is coordination, under the current conventional paradigm monetary policy is “merely a signal for fiscal policy” that cannot take a proactive role in dictating the outcome of economic policy. Therefore, an independent central bank under the current paradigm grants the government a good deal of control over price level, and the fact that public debt is the tool influencing price level and that it is under the control of the government makes it potentially quite controversial. If one accepts that fiscal policy is the independent variable influencing inflation, then it becomes even more dangerous because a government could in fact engage in actions that inflate their debt away. What could be a possible solution? In line with their current mandate of price stability, central banks should be allowed to act as a regulatory board for the government regarding public debt operations. Elected politicians commonly utilize economic policy in order to justify the success of their political ideology. Politicians often do this because it gives them greater political capital to push their ideology and blame other external situations or opponents for the country’s woes. Regimes that have chosen to remain blindly loyal to their ideals, be it left or right, have paid a heavy economic price. A recent example would be that of a group of Latin American nations that advanced ideals in what has become known as the 21st century socialism. Driven by progressive ideals, government bodies in Ecuador, Venezuela, Brazil, and Argentina embarked on a variety of programs aimed at reducing poverty and inequality via increased access to high-quality education, healthcare, and social security benefits. Regardless of opinion about the success of these programs, the fact remains that in a majority of these countries subsequently high levels of government expenditure led to high levels of public debt (above the average of the region) in an effort to finance those expenses. [x] Most of these governments benefited greatly from the commodity boom prices that were remarkably high over the past decade, but once those prices started to come down the reasonable thing to do would have been to cut spending, brace for the economic hit, and live to fight another day once the economic conditions improved. That was not the case, however. Most of these governments continued to push their social programs in an effort to maintain a constant supply of political capital. This unmeasured spending has left several of these countries in dire economic conditions that are reflected currently in Argentina and Venezuela’s high levels of inflation, Ecuador’s desperate need for funding of their fiscal deficit (which has consequently led them to issue even more debt), and Brazil’s 8 consecutive quarters of economic contraction. [xi] What if the central bank in each country could have acted as a regulatory board in charge of public debt? How would that work, in theory? Essentially, a government would have to approach the central bank with a proposal regarding issuing debt and the central bank would make informed decisions, taking into consideration the current economic conditions and any other relevant information. Instead of being driven by political surges, a central bank could act as the voice of reason. The institution would technically be in charge of regulating public debt and would therefore, according to the FTPL, be in control of price levels. Furthermore, central bankers should not be appointed by the executive branch, as is currently often the case. This would allow the head authorities of the central bank to be sequestered from any political pressure, thereby removing the ideology factor from economic management. The easiest way to achieve this would be to elect central bank officials through a universal vote, but that also lends itself to influence from other politicians. A different, more radical approach would be to allow prospective candidates to enter an anonymous contest. That is, they would submit an economic proposal, which would be presented to voters beforehand so they could study and analyze the different options being offered. By keeping it anonymous, it would allow the vote to remain as objective as possible, based on technical considerations made on the different proposals, and would ideally remove political influences or propaganda from the mix. A key aspect of this approach would be to have the term of board members overlap with that of presidents, which will further discourages political pressures. Furthermore, another option would be to have a board, which is composed by appointed members of the departing president and the incoming president. That way, there could be a balance of ideals. This would align with the idea of overlapping terms that deters political pressure. People will (correctly) make generalizations when it comes to connections between political philosophy and economic policy. Society will continue to associate right-wing political parties with an economic policy that prioritizes a laissez-faire capitalistic approach of free market policies, privatization, reduced government spending, lower taxes and deregulation. Society will also consequently identify left-wing politics with progressive tax rates, high government spending on social and infrastructure projects, and strong regulations on business. Different political agents will apply these various economic policies with varying degrees of success, but in the most general sense they will fall within their respective spectrum of economic policy. Many politicians are willing to die by their own sword rather than betray their ideals. However, what they seem to ignore is that while they are not betraying their ideals, they are betraying the people that elected them by making detrimental decisions. As stated in a recent op-ed, “we have come to prioritize political ideology over basic human decency.” [xii] The ability to adapt is glorified in today’s world, where everything is changing every single minute. Why don’t politicians adapt their economic policy to changing conditions? Economic policy is a powerful tool and there is not a definitive answer as to what school of thought is correct. There is evidence backing arguments for and against each theory. However, in a world that is ever-changing and where people are encouraged to adapt to different conditions, why shouldn’t economists in charge of a nation’s economy do the same? There are different moments for different measures but on many occasions it appears politics can cloud judgment and prevent governments from making rational decisions in an effort to maintain their pride. This is not to say that FTPL and putting a central bank in charge of debt would offer a perfect solution. FTPL hasn’t been implemented yet, but discussions are getting more and more serious about its applicability in the real world. Having a central bank in charge of debt offers some positives, but the exact mechanisms of its operation still have to be perfected. Whatever the case, the time has come to develop new solutions, and invite a diversity of thought in politics and economics. Debate over the best policy and ideology will never be settled, but the best available option is that, which serves the people as a whole, rather than politicians’ greed and narrow interests. [i] Condon, Christopher. “Central Bank Independence.” Bloomberg.com. October 25, 2017. Accessed November 02, 2017. https://www.bloomberg.com/quicktake/central-bank-independence. [ii] OECD. “Government at a Glance: Latin America and the Caribbean 2017 – En.” Government at a Glance: Latin America and the Caribbean 2017 – En – OECD. December 06, 2016. Accessed November 02, 2017. http://www.oecd.org/gov/government-at-a-glance-latin-america-and-the-caribbean-2017-9789264265554-en.htm. [iii] Feenstra, Robert C., and Alan M. Taylor. International Macroeconomics. New York: Worth Publishers, 2017. Accessed October 22, 2017. https://macmillan.vitalsource.com/#/books/9781319069100/cfi/6/134!/4/4/2/4/6@0:99.9. [iv] Carriere-Swallow, Yan, Luis I. Jacome H., Nicolas E. Magud, and Alejandro M. Werner. “Central Banking in Latin America : The Way Forward.” IMF. September 30, 2016. Accessed October 23, 2017. https://www.imf.org/en/Publications/WP/Issues/2016/12/31/Central-Banking-in-Latin-America-The-Way-Forward-44317. [vii] Bassetto, Marco. “Fiscal Theory of the Price Level.” CiteSeerX. Accessed October 25, 2017. http://citeseerx.ist.psu.edu/viewdoc/download?doi=10.1.1.495.4421&rep=rep1&type=pdf. [viii] Cochrane, John H. “The Fiscal Theory of the Price Level and Its Implications for Current Policy in the United States and Europe.” November 19, 2011. Accessed October 22, 2017. https://faculty.chicagobooth.edu/john.cochrane/research/papers/cochrane_fiscal_theory_panel_bfi.pdf. [x] OECD. “Government at a Glance: Latin America and the Caribbean 2017 – En.” Government at a Glance: Latin America and the Caribbean 2017 – En – OECD. December 06, 2016. Accessed November 02, 2017. http://www.oecd.org/gov/government-at-a-glance-latin-america-and-the-caribbean-2017-9789264265554-en.htm. [xi] Gilchrist, Karen. “Brazil Tumbles Deeper into Its Worst Ever Depression.” CNBC. March 08, 2017. Accessed November 02, 2017. https://www.cnbc.com/2017/03/08/brazil-tumbles-deeper-into-its-worst-ever-depression.html. [xii] Alvarez, José. “Gauche Caviar.” The TSEconomist. September 20, 2017. Accessed November 02, 2017. https://tseconomist.com/2017/09/06/gauche-caviar/.